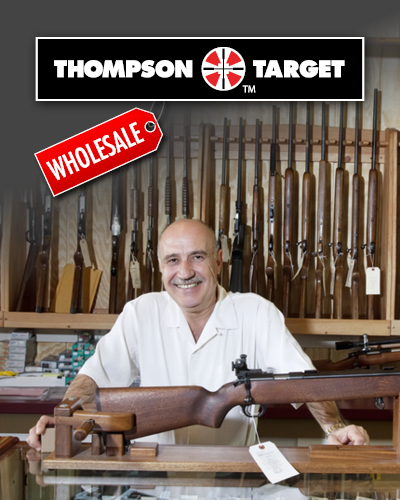 Take your zombie apocalypse training to the next level with Thompson’s line of fun, life-like zombie shooting targets. Every zombie target is printed with high-quality inks on bright white 60 lb. vellum, tear-resistant and glare-reducing paper; zombies never looked so real! Whether you’re using a pistol, rifle, shotgun, or even an air gun, it never gets old shredding some zombie paper targets on the range. With red splatter bullseyes or natural aim points designed into every target, zombie shooting is not only fun, but it can also be great accuracy practice. Every zombie shooting target features a menacing image of the undead in an aggressive, ready-to-strike pose. Don’t waste your time with cheaply illustrated zombie targets; shooting a high-quality image helps you get the most enjoyment from your expensive range time. Plus, zombie target shooting is fun for all ages and the targets make great gifts or posters to remember the shooting experience. Be prepared with Thompson zombie targets, and for shooting with added reward and shot visibility see our line of reactive zombie targets. Crazy-Bones Terrorist Paper Shooting Targets - 19"x25"
Crazy-Bones Knife Paper Shooting Targets - 19"x25"
Money Grabber - Paper Zombie Shooting Targets - 19"x25"
Bad Ol' Boys Zombie Shooting Targets - 25"x38"
Bo-Bo Clown - Paper Zombie Shooting Targets - 19"x25"
Meet "Cleaver" Paper Zombie Shooting Targets - 19"x25"